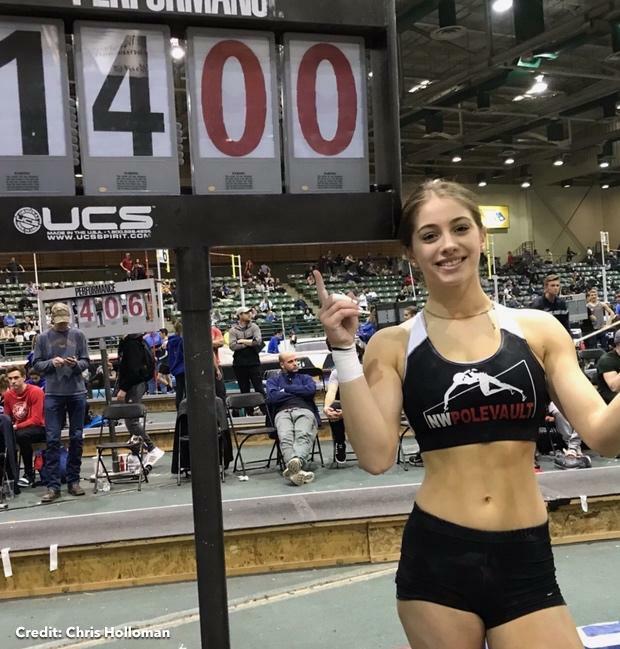 Chloe Cunliffe, the high school senior from West Seattle (WA) and the younger sister of professional sprinter Hannah, continued to make her ascent up the national rankings in the pole vault, hitting a US No. 1 mark of 14 feet at the Pole Vault Summit on Saturday in Reno, Nevada. Cunliffe cleared the eighth highest height in high school history (tied the mark) indoors and is now the eighth athlete all-time to have cleared 14-0 or higher. The Twitter account Pole Vault Power first reported the mark. This was Cunliffe's second straight competition following her indoor debut on Jan. 12 at the UW Indoor Preview, where she cleared 13-9.25. The high school senior is also coming off a spring season where she hit an outdoor best of 14-feet at the USATF National Junior Olympic Track and Field Championships. Cunliffe cleared 13-feet or higher four times in 2018. She signed with Washington State over the track and field regular signing period.